Knights Of Music is back by popular demand. Hosted exclusively by Phillip Schofield the show celebrates the legendary Knights and Dames of the entertainment industry who have transformed the face of music, film and theatre throughout the ages. SIR ELTON JOHN, LORD ANDREW LLOYD-WEBBER, SIR CLIFF RICHARD, DAME SHIRLEY BASSEY, SIR PAUL MCCARTNEY AND THE BEATLES, SIR CAMERON MACKINTOSH, SIR TIM RICE, SIR MICK JAGGER, SIR BOB GELDOF, BONO, and many more including the newly knighted SIR ROD STEWART. Phillip Schofield is no stranger to the stage having started his theatre career in ‘Joseph and the amazing technicolored dreamcoat' at the London Palladium followed by a successful UK tour of ‘Dr Dolittle’. ‘The Knights Of Music’ is your chance to see him hosting this unique evening with a limited number of LIVE dates scheduled for April 2017. "I'm so thrilled to be hosting 'Knights Of Music'. It promises to be a great night of music and surprises. It's been quite a while since I've appeared on stage so I'm really looking forward to a great evening” Phillip Schofield. All of this incredible music is brought to you by “SUCH A VIBRANT CAST OF WEST END PERFORMERS” Daily Echo - Southampton and musicians who will bring you ‘the best of British’ for your Knights entertainment. They will quite literally knock your socks off! With memorable and sensational songs such as I’m still standing, Rocket Man (Elton John) Twist and Shout, Hey Jude (The Beatles) I Dreamed a Dream (Les Miserables) Do you want to dance (Cliff Richard) Its not unusual (Tom Jones) Close Every Door (Joseph) Satisfaction (Mick Jagger) Maggie May (Rod Stewart) just to name a few. 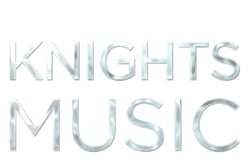 ‘Knights Of Music’ celebrates ground breaking work from our Knighted treasures and celebrates true British talent throughout the ages. Never before has there been a show so diverse. From Lloyd- Webber to McCartney, from Bassey to Jagger, this is truly the theatrical event not to be missed….